AT AGE 80, Christopher Koch is still one of Australia's most prolific and esteemed writers. Widely travelled, he has returned to his homeland, Tasmania, many times both in person and via his books. Two earlier novels have won him Miles Franklin Awards. A close friend, poet Jamie Grant, claims that Koch is "Australia's finest living writer of fiction...no one matches him for elegance, clarity and rhythmic effect". One can readily endorse this opinion after reading his evocative book, set this time in Georgian Richmond, where he now lives. Here is a mesmerising dual narrative with the past and present intriguingly interwoven. 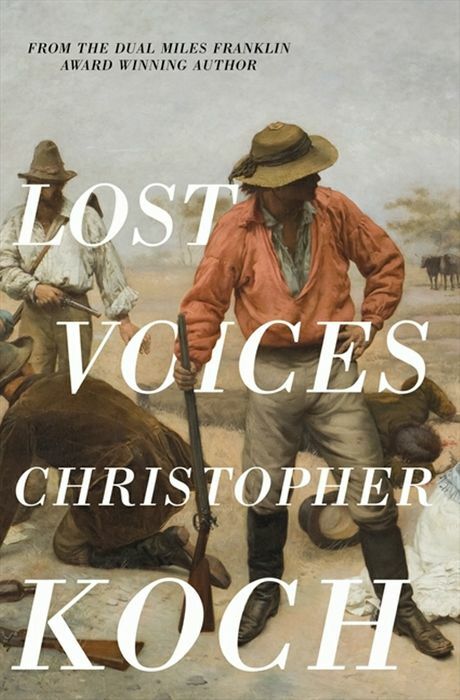 Starting and ending as a memoir of aspiring 1950's artist Hugh Dixon, it turns back a century to Hugh's great grandfather Martin who ran away from his wealthy farming family to join a utopian community of bushrangers. Koch has achieved a fine balance and clarity while colourfully evoking colonial times. As the author says, "The past resonates in the present", with each modern character mirroring his earlier counterpart. Here is an ideal book for holiday reading.